Oregonians will go to the polls on November 4 to decide whether or not to require prominent labels on food containing ingredients made from genetically modified organisms, or GMOs. The issue of labeling has been around for years, and — déjà vu! — Oregonians have even voted on it before. But the rhetoric has heated up to where its passage has a far better chance this year than it did in 2002. GMOs are developed by direct modification of DNA. In contrast, conventional breeding modifies DNA indirectly. Humans have selected DNA mutations for millennia. If genetic changes had not occurred, corn would still be a small, inedible and inconsequential grass in Mexico. Potatoes would never have expanded from a small and toxic wild tuber in the Andes to become the world’s fourth-largest crop. GMO technology enables scientists to target and modify specific genes responsible for desirable characteristics, but it is not a silver bullet that is somehow immune from the age-old problems of agriculture. Nevertheless, GMO crops have been adopted on a momentous scale and with great speed around the globe in countries that have permitted them. Most farmers like what they deliver. GMOs are regulated far more intensively than the products of conventional breeding. For example, some types of GMO crops have new proteins in them. When we insert a gene that makes a protein that was not in our food supply, or when it provides a new means of pest control, we need to make sure it is as safe as what we eat now and as other pest-control methods. Unfortunately, this increased scrutiny has often led to increased worry rather than to increased comfort — in spite of the safety assurances of all of the prominent science and health organizations around the world. The major GMO crops have mainly benefited farmers and had only indirect benefits for consumers. Why should consumers take any risk without a benefit? Some of these crops have not been managed well to date, exacerbating long-standing problems with weed control. Organizations and companies that benefit from anti-GMO sentiment are spending huge amounts of money to foster negative perspectives and scare stories. New GMO products in the pipeline are likely to have much wider public appeal. These include drought-tolerant corn, Golden Rice and Golden Banana (fortified with vitamin A to fight widespread nutrient deficiencies among the world’s poor), and a safer potato (when fried, it produces less of a toxic compound called acrylamide). Soon to be commercially available is a modified soy oil that has a composition similar to that of olive oil, or produces high levels of heart- and brain-healthy omega-3 fatty acids. These and many other products could have momentous benefits, if they are not stigmatized out of existence. The demand for affordable, nutritious and sustainable food systems to feed the coming population of 9 billion — amidst a volatile and changing climate — requires that we make judicious use of every available tool. 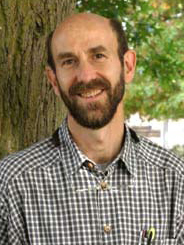 Steve Strauss is a Distinguished Professor of Forest Biotechnology at Oregon State University.